This essay was originally called “Roots of Bitterness, Explosions of Shame,” and it would have been somewhat satisfying, I suppose, to tell it from only one perspective—mine. But after writing it initially to process my horror at this scenario, I decided to look at it from the viewpoint of any of us when we don’t understand grace. Because when we don’t understand or practice grace, or even when we don’t have it for ourselves, bitterness rises up like a vine climbing that tall oak in the backyard. And then all of a sudden, it chokes us, or something sets it aflame. I wrote this to look for the lessons in it. Where can I do better? Where do I get caught up in similar unnecessary anger? Where can I “step out of the ring,” so to speak. A while back, in a very public setting, I had someone approach me very angrily when a boundary was drawn for her. It was someone I had known, marginally, for years. I’m guessing, based on the irrational and very scary level of her rage, she has trained most people in her life to never draw boundaries that she has to observe. Then she met me, and unfortunately, I’m a hyper-boundary-draw-er. And while I didn’t walk in that afternoon with any angry feelings toward her, she must have thought that I did, or clearly she wouldn’t have spent her week wasting her time planning to ambush me. She’s no different from so many of us, except she let it get to a boiling point. Really, if we’re honest, how many times do we all waste time with stressed-out, one-sided, furious, imaginary conversations in our heads when we think there’s a major issue—but there really isn’t one? Seeing how ramped-up she was, there was no good reason to engage in conversation at that moment other than to shut it down before it escalated. Nothing good would be accomplished by me letting her vent like that. She needed to calm down and find a better way to approach me. Then I would have listened. I hope I can show honor and respect toward others even when I disagree with them; I hope I always give them a chance. After I managed to get out to an area where there were more people, she continued to get in my face and insist on setting me straight. I offered to leave if that would be helpful in stopping the toxic rant. After a while, in front of several others, she backed down. Phew! What about me incites such wrath? What the issue was? Minor and irrelevant. Isn’t it always the dumb, insignificant things that set off sparks between people, that light the flame? What freaked me out in this experience? That this woman unleashed four years of hatred, misunderstanding, insecurities, and self-justification onto me in just a few minutes over something so incredibly minor. She had built up so many wrong assumptions about me based on gossip, without fact-checking. Where am I holding on tightly to dislike of and bitterness toward someone else? Despite how very hard it was to climb over the wall of self-pride, I made myself pray and asked God to show me the two sides of the coin. I spent many a night waking at 2 AM wondering how someone could hold on to that much hatred, only to spew it, without any warning, like Mount Vesuvius? While I still think this woman was unfair and inappropriate in how she handled this situation, it caused me to look for where I was being equally unfair to anyone in my life on my “Do Not Like At All” list. We all have one. Where are we being a “root of bitterness”? Where might God be offering us correction by perhaps allowing things to come against us that we need to make sure we are not guilty of ourselves? I’m also learning that just because people want to fight/argue, it doesn’t mean we have to get in the ring. Some folks are always going to want to fight for the thrill of it; they have no intention of getting to resolution because they already have another ring reserved for a different day. Do you find you are being drawn into a ring in your own life, one that isn’t productive and somehow keeps scheduling a fight? Or do you find yourself wanting more ring time than necessary, constantly looking for someone to battle? 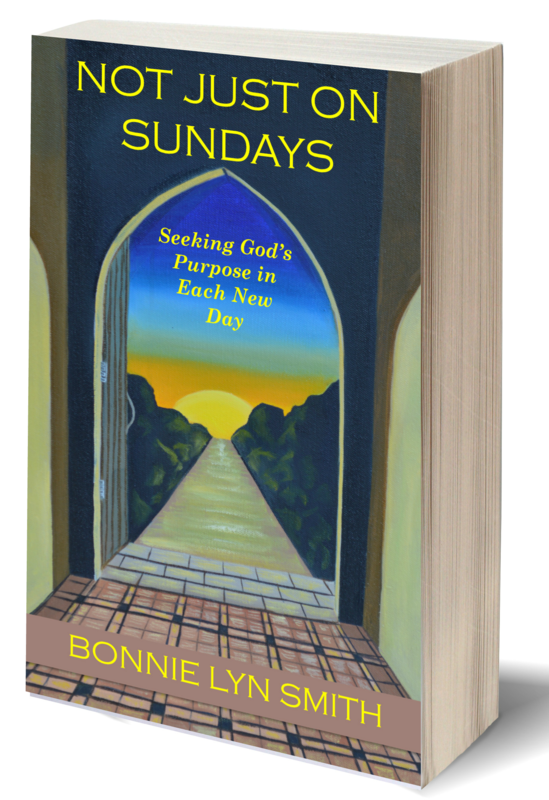 How can we “make every effort to live in peace,” setting healthy boundaries, not only to model how we would like to be treated but also to take a personal stand in grace to anything trying to steal our joy, thieve our energy, discourage our hearts? 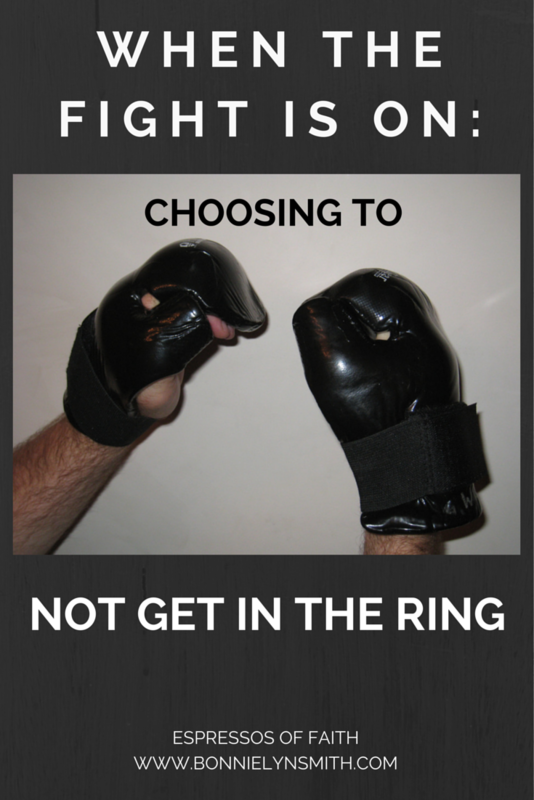 The ring is a choice most of the time. I am going to strive to only enter it when the stakes are huge and justice needs an advocate. Otherwise, I hope to live almost entirely outside that ring. Make every effort to live in peace with everyone and to be holy; without holiness no one will see the Lord. See to it that no one falls short of the grace of God and that no bitter root grows up to cause trouble and defile many [emphasis mine]. Thanks, Mandi. I hear you! Sadly, people who perpetually live this way create similar scenarios wherever they go. Smoke from their fires can usually still be seen billowing off their shoulders because they have to bring conflict wherever they go. This whole situation made me have to take a good look at myself. I want to live in a greater state of peace than that. My way of sorting situations like this one out? If I take myself out of the equation, and there are still fires being set, then I know it has nothing to do with me. So well stated. There are those people who are ever ready for condemnation/correction. Have you read Scott Peck’s “People of the Lie”? Hi, Mrs. Harvey! No, I have not read that one. I will add it to my reading list. Thank you!
! How mash, so true, how many times have I started an argument and got angry then looked back and realised I couldn’t actually remember what set me off! Haha, Ally! I can relate! Thanks for stopping by “Espressos of Faith”! Blessings to you!